Fall is a good time to visit the Italian Gardens. The gardens are less packed with plants and it is easier to isolate a subject. It was supposed to be mostly cloudy, but it was mostly sunny and very bright, so I used my Infrared camera, which works well in bright conditions and really shows off the texture of plants, water and clouds. Because it is so late in the growing season, there is some damage to the leaves. 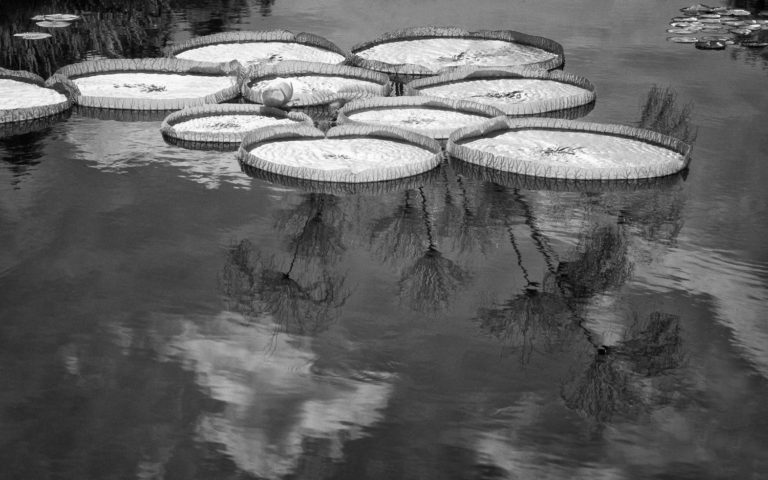 The giant water lily pads in the top photo are 1 to 1.5 feet across and had what looked liked pebbles in them. I thought they were distracting and removed them with the Healing Brush in Photoshop. All of the photos were processed both in Lightroom and Silver Efex Pro. 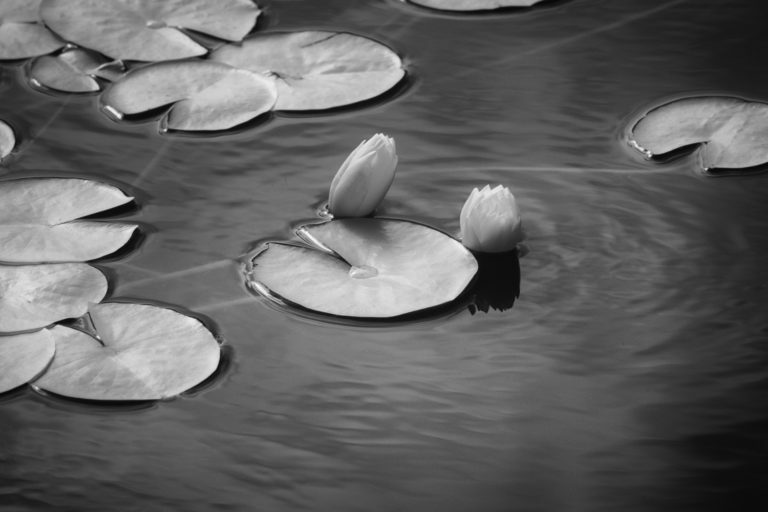 The more traditional water lilies still have plenty of blossoms. I liked this pair of buds that probably opened later in the day. Most of the Lotus are in the center of the pools and have no blossoms, just dry pods in September. It is difficult to get a close-up of one while standing at the side of the pool. 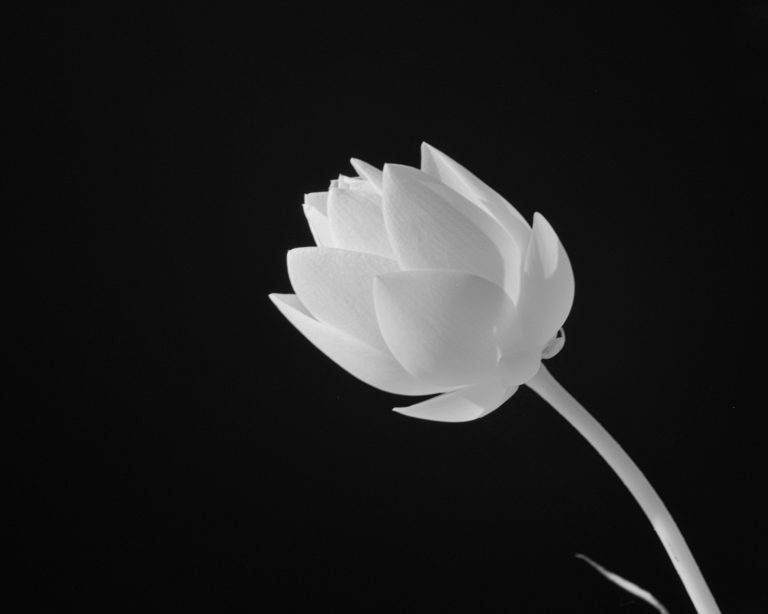 I found a lone lotus blooming a few feet into the pool and wondered if one of the gardeners had planted it or if it was a surprise to them too. Copyright © 2019 Bonnie Allen Photo.